Personalized Gift and stocking stuffer! 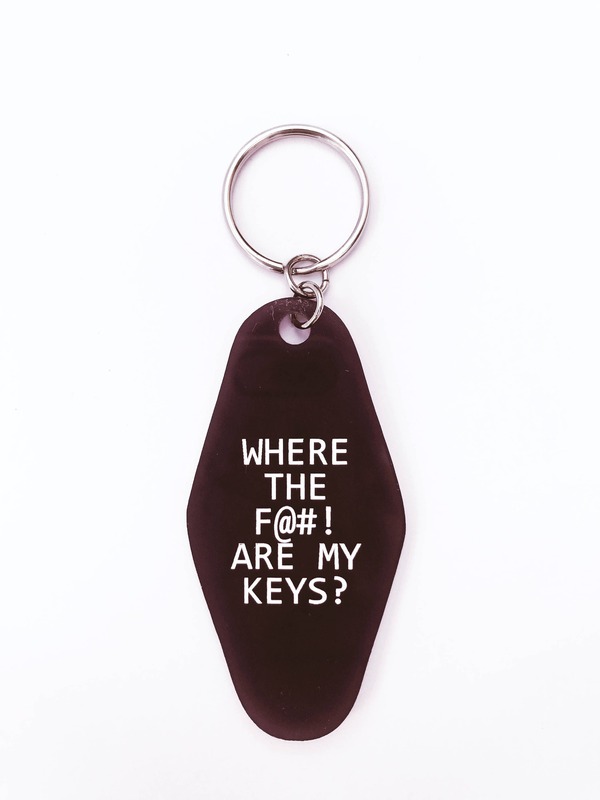 KeyChain Reads: "Where the F@#? Are My Keys?" 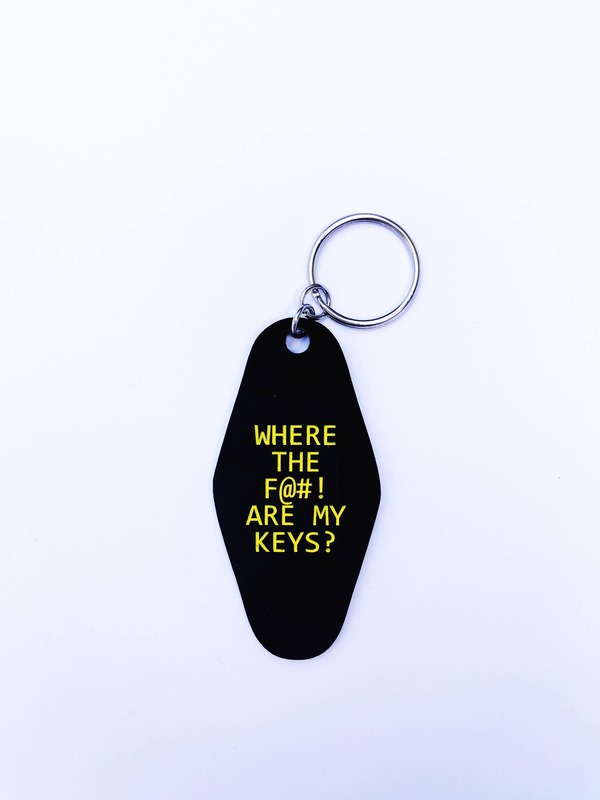 Shown in black Acrylic with yellow ink fill with Silver key ring. 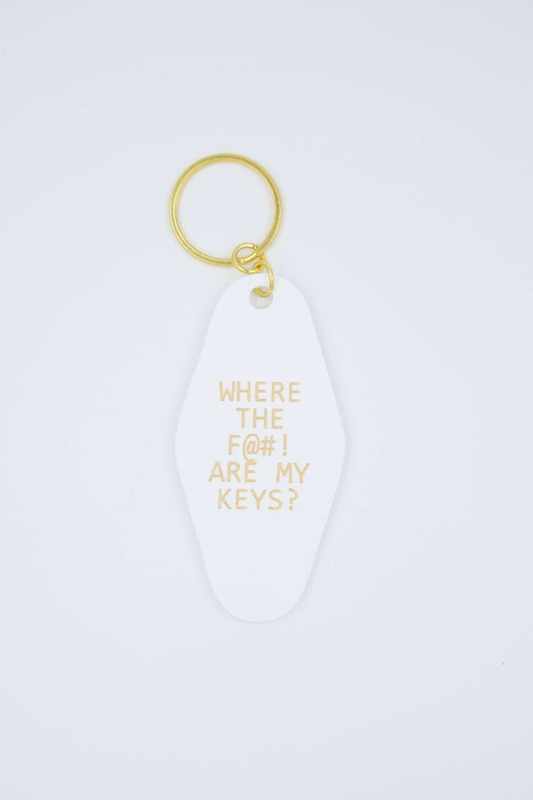 Shown in white Acrylic with gold ink fill with Gold key ring. 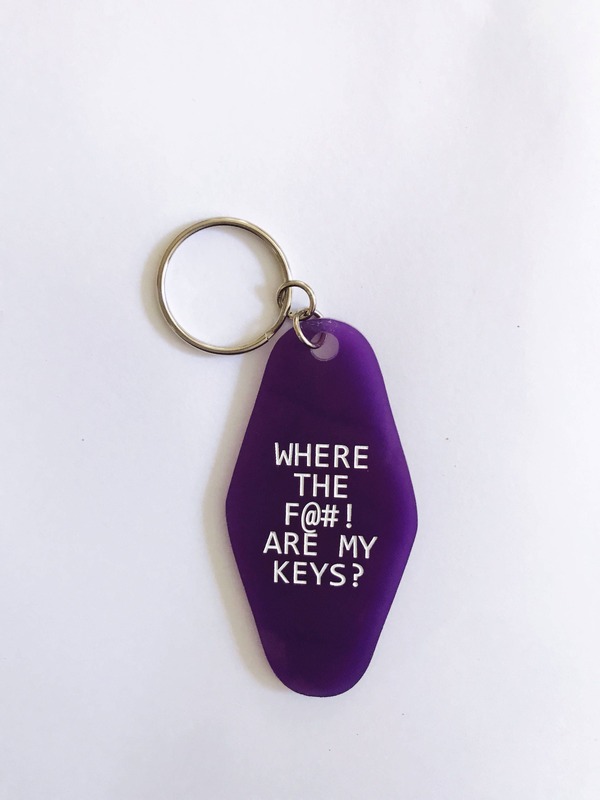 Shown in purple Acrylic with white ink fill with Silver key ring. 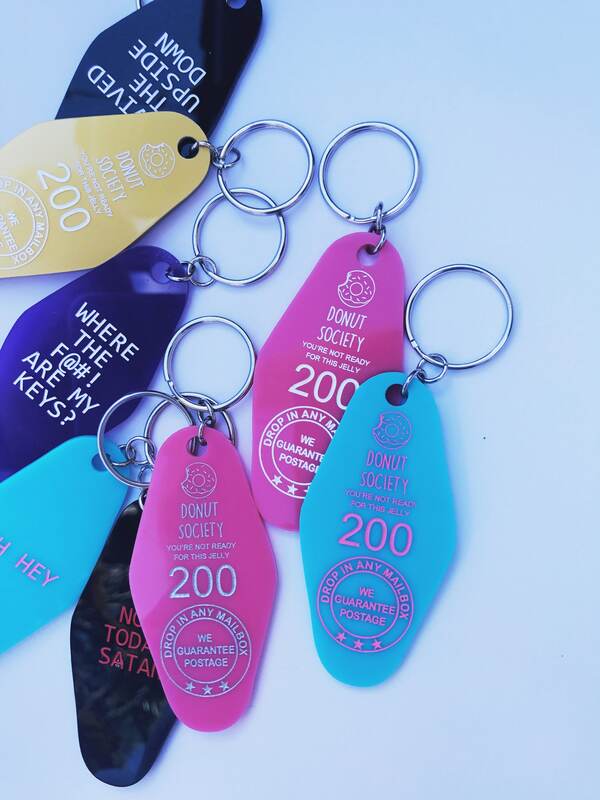 After having an issue with the color of my keychain, I received a message almost immediately to explain their refund/exchange policies. 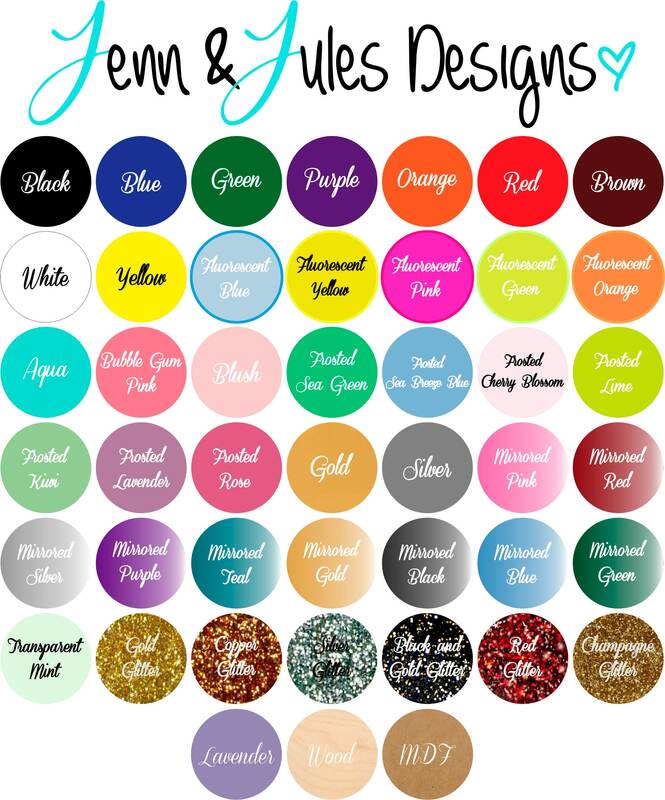 Make sure to read the store policies for more detailed color descriptions. *Seller did mention that they will be updating the color chart to list a more detailed description of which colors are transparent. Product arrived quickly and in cute packaging. Contact with seller was consistent and all my issues were quickly resolved. Package arrived quickly and was fun to open. 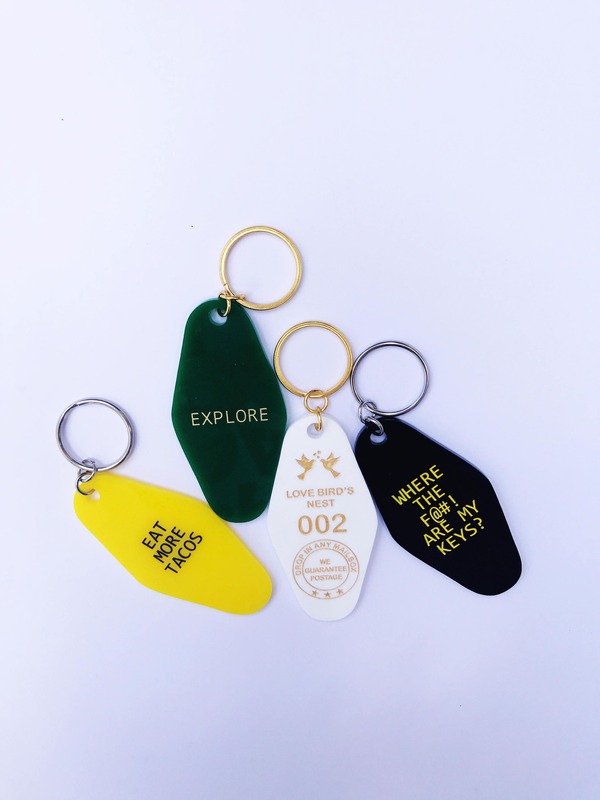 I did a black keychain with white font, super cute. 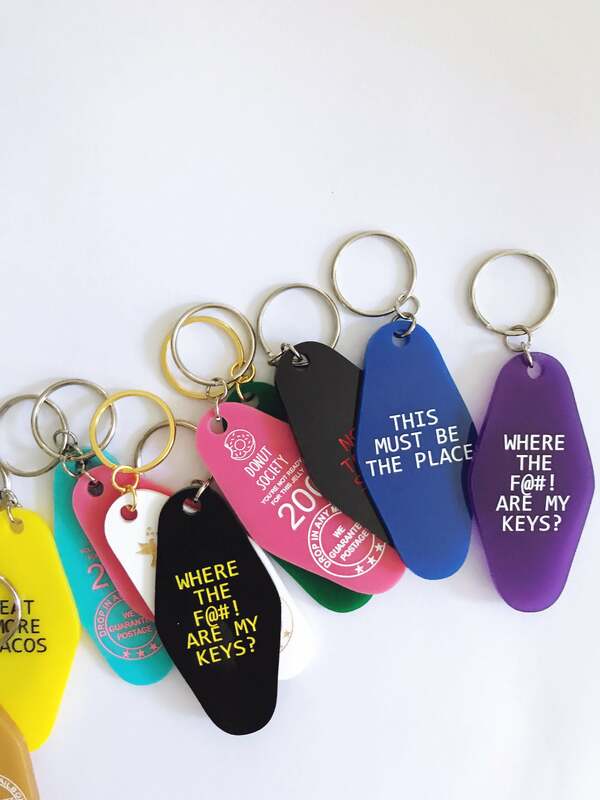 At first they made an error and sent the wrong keychain, however after a message they quickly responded allowing me to keep the wrong on free of charge, and quickly sent out the keychain I ordered. It’s even better in person and of course on my keys. Thank you.